Hi, I am Renee Leone, I am a stay at home mom/ artist/ designer, living in the suburbs of Chicago. Have been drawing and painting for over 20 years. Started in design school and after a couple of years of space planning with an interior design firm, I began freelancing as an architectural renderer. Until recently, I had taken a bit of a break, to start a family. Finding myself back in the business aspect of art, I am hoping I might be able to remain at home with my kids while working from my studio. Love to draw, paint, print, photograph, make books, knit, crochet, make anything with my hands, work with my eyes, love anything handmade and creative. I appreciate anything with good design sense! I am very visual, never forget a face or the places I have been. Creativity is in my blood, many of my relatives are in many aspects of the arts and design fields. Hope you enjoy looking at my images. Please check back periodically for new work and projects. Thanks for stopping by! 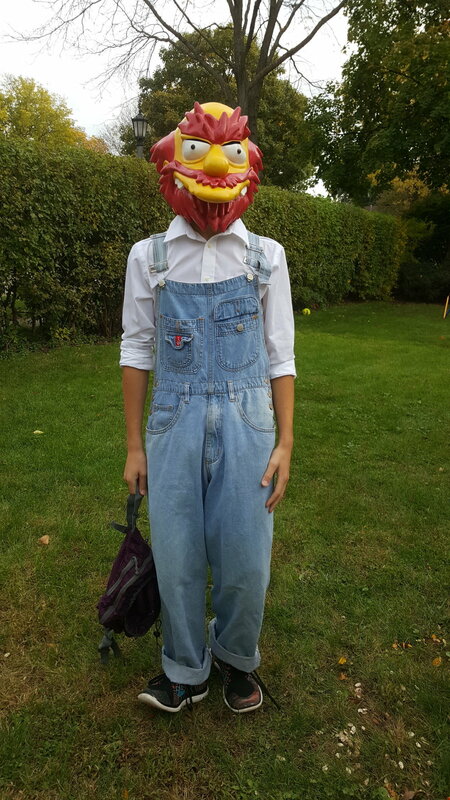 I started really enjoying Halloween when I made my oldest's costume when he was 8 months old. It was just the creative outlet I desperately needed at the time. As the years progressed, Halloween costume ideas became something we talked, planned and created well in advance. 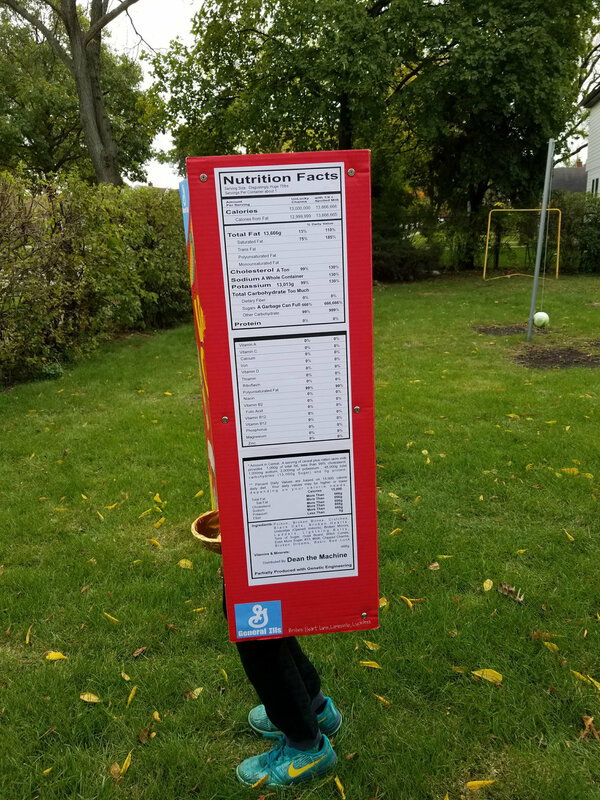 The kids wanted unique costumes over the years and with my need to create something completely out of my wheelhouse, costume making became our jam. 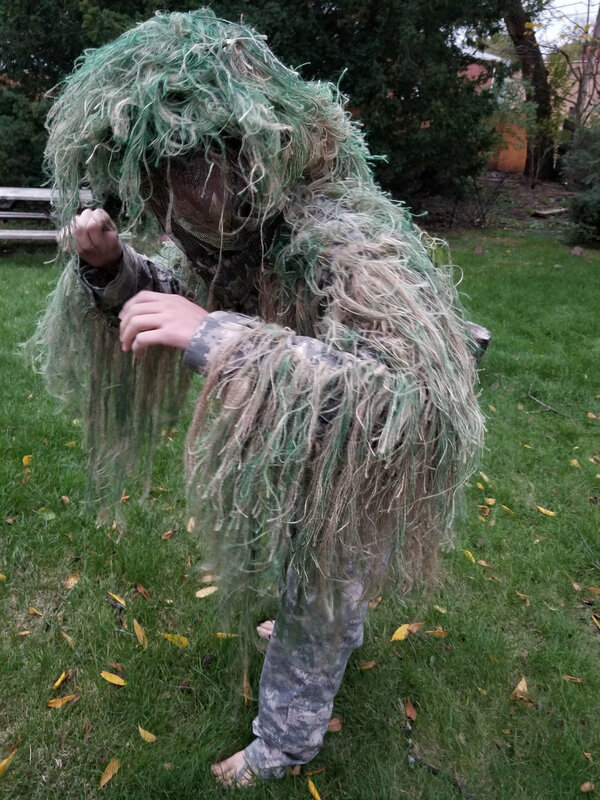 13 years later, I am still at it, with help from my 11-year-old and now for the first time, passing the baton to my oldest, as he is making his very own ghillie suit. I thought this was the perfect time of year to share some of our years past Halloween, semi-home-makes once again, as we are all so excited for costumes & candy fun! After a 15 hour, all night drive to New York with the family, the Brooklyn Bridge was one of the first sites on our checklist to see. My husband had a special delivery on Long Island and we were along for the ride. NYC was a place I had fallen in love with years ago, a place I had promised the kids I would take them someday. The day had finally come and the excitement of the family was beyond belief! I first recall being roused from sleep, in the wee hours of the morning, by the rumbling of the car as we were crossing Throgs Neck Bridge en route to Long Island. Looking south for any glimmer of NYC, still too dark, sleepy eyed and probably too far north, my plans were thwarted. It wasn’t until we headed back into the city, just after sunrise; that we found ourselves headed directly into Manhattan via the incredible Brooklyn Bridge. Maybe it was the gentle glow of the sunrise, maybe even the golden color of the massive limestone and granite masonry piers peeking through the early light and speaking directly to us. Or maybe, just the morning excitement of everyone first seeing the illuminated gates and web of steel suspension cables in a twisted perspective of converging lines welcoming us into Manhattan. Whatever it was, the Brooklyn Bridge became the glowing magic doorway to the city that never sleeps…an inviting entrance that created a lasting visual symbol to the beginning of an exciting and amazing NYC adventure! To purchase prints, click on the Brooklyn Bridge image above. This is becoming one of our things, the kids and I making serious Halloween Costumes! It started with their own leather (pleather from Target) jackets and real bull whips to add to their Indiana Jones Halloween costumes. The following year, they wanted to be a "real" Military Lego Minifigure and Icee Polar Bear. Went to the army surplus store to buy an actual military dress uniform and sized it and fit it to a custom foam board body we constructed. Went to the Brookfield Zoo to purchase a polar bear mask & paws. 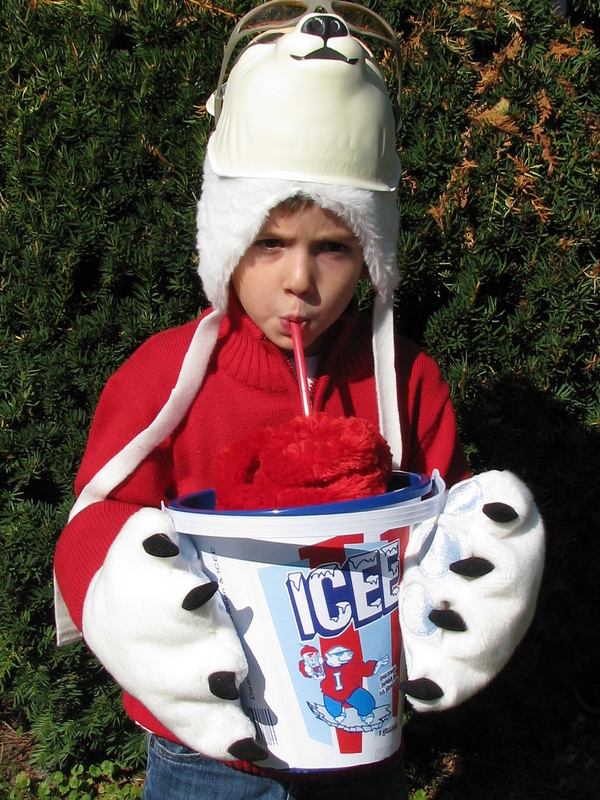 Still needed to make the fur hat, hind paws and Icee Letterman sweater and awesome Icee Trick or Treat Bag. Last year it was a Pokemon Card, a specific card mind you and a different Lego Minifigure, the Lego Robot. 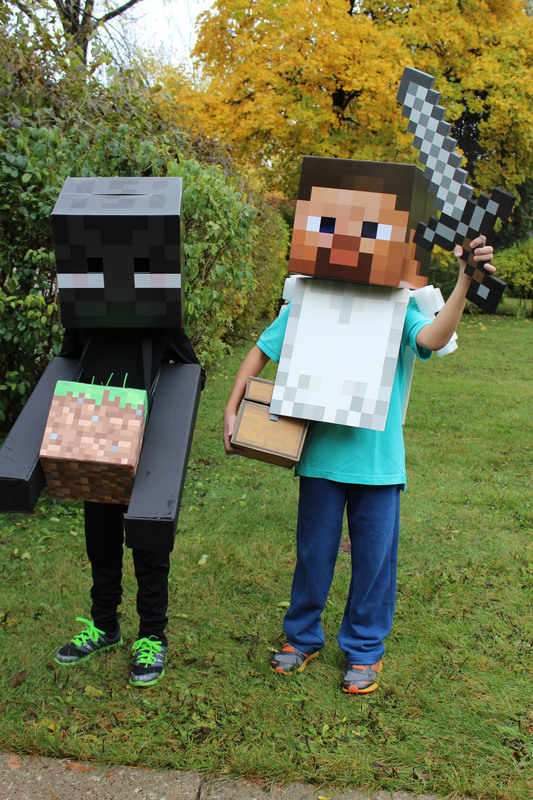 This year, it was Steve and an Enderman from Minecraft, again with specially designed Trick or Treat bags and accessories. 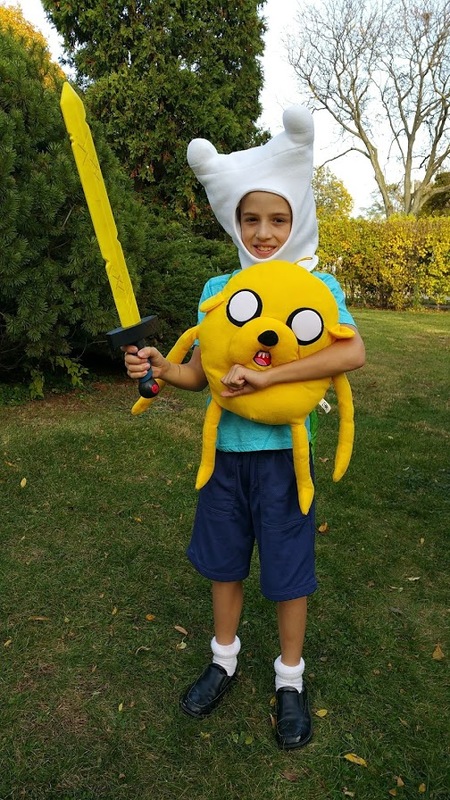 The products the kids love, come to life, their obsession of the year seems to crescendo into Halloween costumes. We usually buy some store bought pieces and add to the costume with some homemade accessories. The accessories are where it is at, the kids keep coming up with items to add, making their costumes more unique and their very own. Ingredients: Store bought finds + handmade crafting + DIY instructables + alot of foam core + glue gun+ cutting + pasting + patience + most importantly + kids imagination! 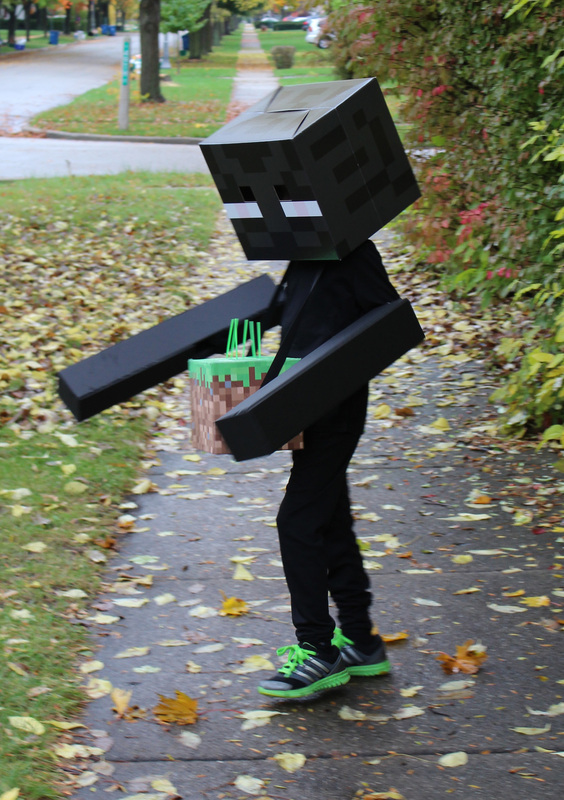 Enderman and his Grass Block Trick or Treat Bag. Enderpearl inside. 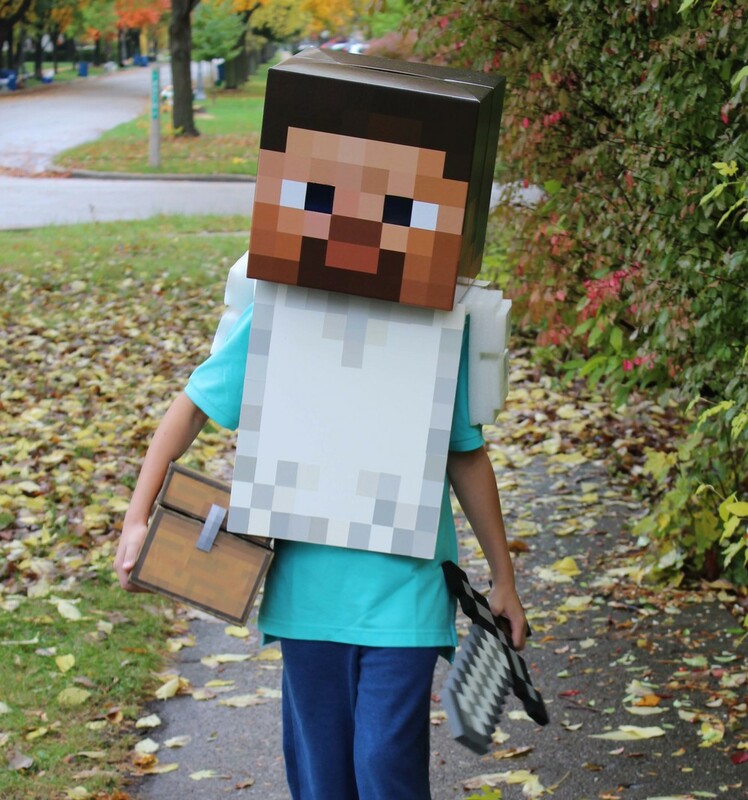 Steve Head to Toe with Custom Iron Armor and Treasure Chest and Diamonds & Golden Apple inside. Looked all over for this exact color, finally went to Army Surplus and cut and sewed an actual dress military uniform to fit the foam core body we created. Particularly liked the Lego head we made with the cap of the yellow spray paint used to paint his head. He's the Icee Polar Man! This website has been long in the making! Thought it was going to be a huge undertaking, didn't realize it was right at my fingertips. Heard about Squarespace from the amazing photographer, Sheri@cityBeestudio. Thanks Sheri! Have always wanted a website, just didn't realize I was the one who was going to be creating it! I will be using this area mostly as a photo Blog, posting pics of works in progress as well as, anything going on in my little world. Below, I am working on a new Travel Watercolor that will be available Holiday 2013, titled I Believe, Rockefeller Center, NYC at my Etsy Store www.etsy.com/shop/reneeleonestudio . My Travel Watercolor Series represent chapters of my life, culminating in an artistic journal depicting the places I have been and the experiences I have encountered along the way. My goal is to complete at least one image from every state in the US. Almost there! Please feel free to make comments and or ask questions. Looking forward to figuring this all out!